3'X5' Cotton,Cut, & Sewn Military unit that supported the Confederacy. Formed in Erin, Tennessee. 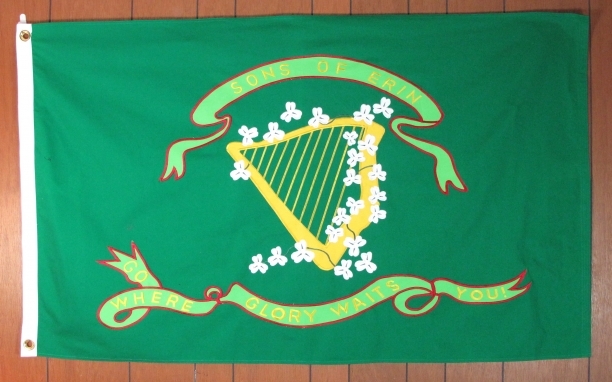 Irish units from the North & South often found themselves fighting each other. 100 % satisfaction guaranteed. Fully refundable within 10 days of receipt. Free shipping. Beautiful Flag. © Copyright 2019 Paradise Antique Currency, All Rights Reserved.